"So how many rivers in Tiel?" Grootmoeder asked me, from the driver's seat of her little car as we drove along the cobbled road of her town in the Netherlands. "Three: the Waal, the Lek, the Linge." Despite having only spent a handful of weeks of my life in Tiel, where my father grew up and where she still lived, I had memorized these answers, because she grilled me often. I listed them because I knew that question was coming next anyway. "Right," she snapped. "Which one did I swim in as a child?" "The Linge, because the others are dirty." "Yes. Which one is on the other side of that dike?" She pointed past me out the window at the grassy hill which I had not even realized was a dike, never mind that there was a river on the other side of it. "I don't know? The Linge?" "No of course not," she snapped. "It's just the canal." Yesterday I heard on CBC radio that research shows the grandchildren of Italian immigrants seek more connection to their Italian heritage than their parents did: "The third generation, the grandkids, were way more interested in where their grandparents had come from and in learning to speak Italian and learning to cook Italian than their parents were," Sajoo explained. The whole interview brought back many memories for me of the times my parents and grandmother took me to visit pieces of our family heritage. I remember my mother driving me past the house she lived in as a teenager, in West Vancouver, right off of Suicide Bend. Obviously, the name stuck with me, but each of the hundreds of times I've driven or bused past that driveway since then, I am connected to that bit of family heritage. I remember my father taking me past the house his family had lived in, in East Vancouver, and telling me about the zinnias his own grandmother grew in that small yard. I was surprised at how dumpy it looked, compared to the lush green beauty of his parents' current home. The way he told me about the zinnias made me think it had been trained into him like the names of the rivers in Tiel were trained into my mind by my other father's mother. 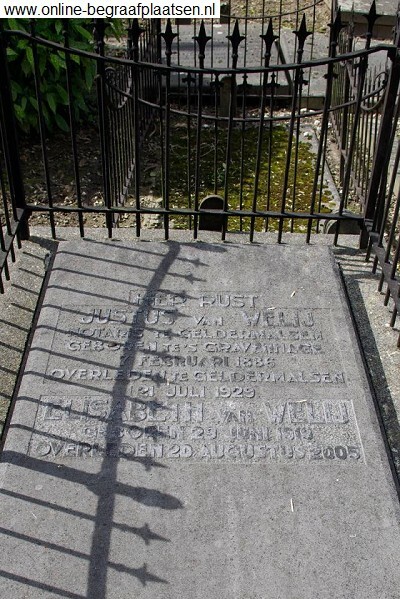 We're finally planning to take our children to Europe, this year, and one of the places I want to go is to visit my Grootmoeder's grave. I haven't been able to return to the Netherlands since before she died in 2003, and I need this closure. Luckily, I know right where she is buried, because she has already taken me to her grave. In one of her famous educational tours, she took me to see the graves of her parents, and informed me that one day she would be buried there, too. I was a teenager, then, and thought the whole thing was creepy; the graves were ugly; and many parts of the cemetery were actually hideous. And I didn't want to think about her dying. I was happy to spend time with her wandering around the tiny graveyard looking morbidly for short lifespans and weird grave markers, but I didn't appreciate the lesson she was giving me. I suddenly realized last night that I could find that graveyard on Google Earth. I couldn't remember what it was called, so just looked for likely candidates in the town she lived in as a child, until I saw something I recognized... then "drove" past it on Streetview. Through more Googling I found a photo of her actual grave, where her own name has been added by my aunts and uncles under her father's name. None of this would have happened without my memory of that day she took me to see those graves. It's important to take our children to see the pieces of our family history. It's important to share our stories. Even the upsetting ones. Kids can take it, and more importantly, they need to know, because it's their history too. I recently took my children past the apartment I lived in with my mother after she left my father. "Do you know where the apartment I lived in was?" I asked. And then we were driving past it, and my daughter said, "the one with the pool. Where's the pool?" She asked, craning her neck as we passed. She knows there's a pool but can't remember why she can't see it. "Yes," I answered. "The pool is behind that hedge." My kids have never seen the pool but they know it's there, because I told them I fell into it as a baby, and floated back up again. They don't have the memories I do of the long walk to the laundromat, the smell of the soap and some nice man wearing white (these are vague memories; I was one or two years old). But they are coming to know their heritage. "And here we come to..."
"The Pink Palace!" They said. Yup. These may seem like mundane and odd things to pass on, but they're my stories, and they keep us together.